ASV Holdings Inc. introduces a new brandstrategy and website highlighting the product features and qualities that make ASV an industry leader and allow customers to get more done in more places. 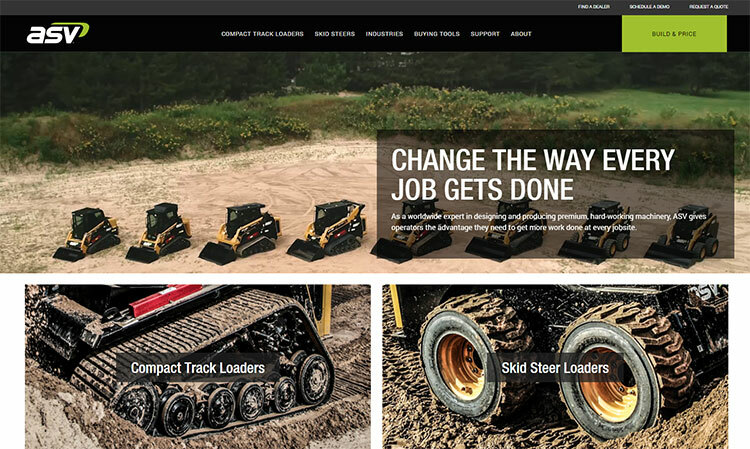 ASV Holdings Inc., an industry-leading manufacturer of all-purpose and all-season compact track loaders and skid steers, has introduced a new brand strategy highlighting the product features and qualities that make ASV an industry leader and allow customers to get more done in more places. The company also launcheda new website with features to improve customer experience and ease of use.